Synopsis: Many of the architects responsible for modern-day Rome—such as Hadid, Fuksas, Baldeweg, and Meier—have reached international stature. Many contemporary Italian architects—such as King Roselli, Labics, and IaN+—use Rome as a lab for testing their ideas. While some might note the weakness of the residential sector in attracting architectural quality, it is hard to escape the growing attention paid to public spaces and infrastructures. 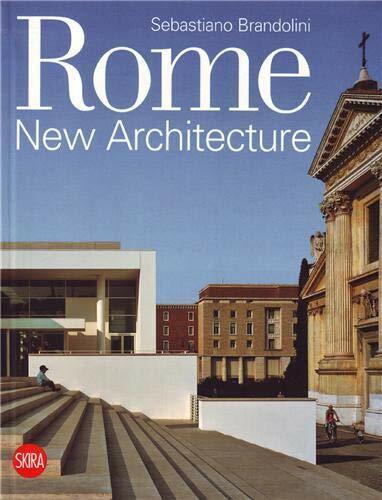 This volume surveys Rome’s varied architectural landscape and contains over forty projects and a map, demonstrating how the geography of the city is evolving, and how quality can be found both in the center and on the edge of town. About the Author&colon; Sebastiano Brandolini writes for many specialized journals and is particularly interested in the relationship between architecture and engineering. Over the years he taught at the Milan Polytechnic, IUAV in Venice, London School of Economics. He is currently Professor of Architectural Planning at the Ferrara Faculty of Architecture.